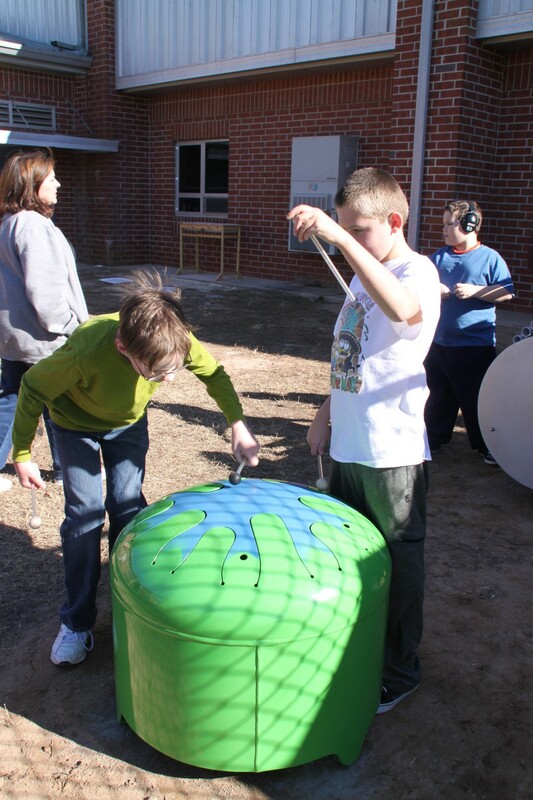 TSI works with Girl Scouts to install Autism Sensory Project | Tri Scapes, Inc.
Tri Scapes recently worked with Girl Scouts Troup #14254 to install large metal instruments that are part of a Autism Sensory Project at South Forsyth Middle School. The project began with the vision of 8th grader Lucia Morris, who wanted to create the project as part of her Girl Scouts Silver Award. Her project focused on providing an area at her school where autistic students could play in an environment specifically geared toward sensory development. 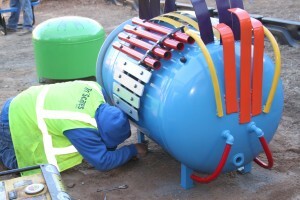 She found and custom-ordered 2 metal “instruments” which are brightly colored and are designed to produce different sounds and pitches when struck. Included in the play area is a balance beam she and her father constructed, that is only a few inches off the ground. 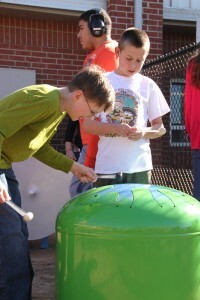 Tri Scapes’ participation in the community service project included delivery of the instruments as well as labor and materials for construction of the slabs that the instruments are attached to. Have a look at some photos and video of the project.